Open the MicroSD/SIM access door (located on the upper right edge with the screen facing down). Utilize the notch underneath door to lift then rotate the door cover. Remove the microSD card from the lower slot. If needed, refer to Insert the Memory Card. 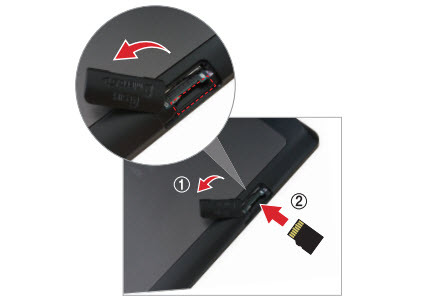 Re-align the MicroSD/SIM access door then gently press it into place.